TEHRAN — Iran vowed to uphold the pact curbing its nuclear activities if the European Union can offset renewed U.S. sanctions, senior officials in Tehran said, advocating an approach that would widen a deepening schism between Washington and Brussels. The EU has redoubled its efforts to salvage the 2015 deal in the wake of President Donald Trump’s recent withdrawal of the U.S. 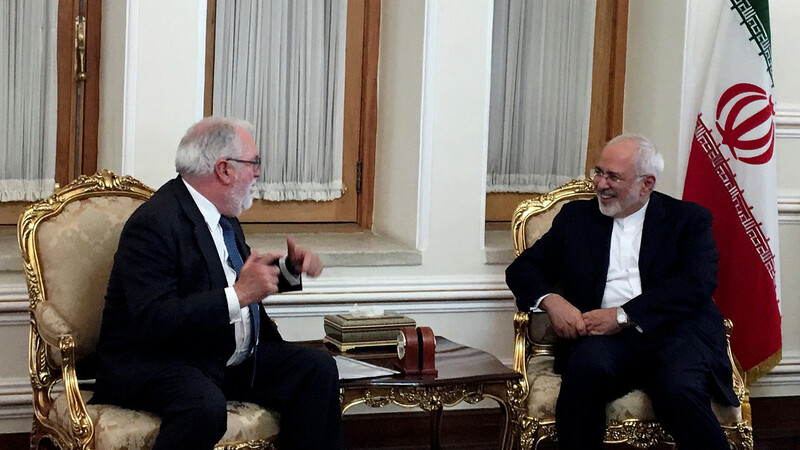 The EU dispatching Energy Commissioner Miguel Arias Canete to Tehran over the weekend with a plan to prevent Iran’s economic isolation and secure its commitment the nuclear accord. The EU’s plan faces daunting obstacles. The bloc would have to continue oil and gas purchases to keep Iran’s economy afloat, but do so by making payments outside of the U.S.-dominated global financial system and shielding European firms from U.S. sanctions. “We hope that what they have presented to us, it will be materialized,” Iran’s nuclear chief, Vice President Ali Akbar Salehi, said in an interview with Western journalists. He urged the EU to lead the fight against Washington to preserve the deal, saying Iran would honor its commitments if EU efforts broadly offset U.S. sanctions. “The ball is in their court,” he said of the EU. Starbucks restrooms open to all visitors. Mueller probe expands to Israeli entrepreneur with UAE ties. 0 responses on "Iran vows to stand by nuclear deal if EU helps it offset U.S. sanctions"